The leading reference and text on caring for underserved patients and those with highly unique health requirements - updated and expanded in full color Medical Management of Vulnerable and Underserved Patients: Principles, Practice and Populations, Second Edition is designed to clarify current issues and instruct you in best practices and compliance with legislation, such as the Affordable Care Act, when caring for patients living with chronic diseases in poor and minority populations. How do these laws affect you, your practice, and patient care? 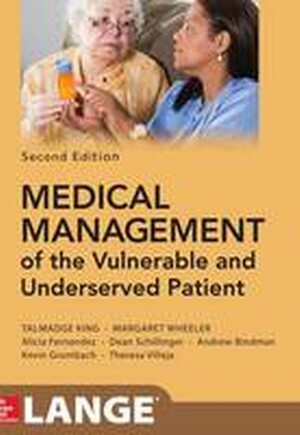 Medical Management of Vulnerable and Underserved Patients is ideally suited for clinical and educational programs and policy-oriented institutions concerned with addressing health disparities and caring for the underserved and vulnerable patient. Comprehensive in scope and authored by many of the leading names in the field, the book takes complex concepts and issues and helps you understand them, resulting in a "roadmap" to guide real-world applications and compliance with the terms of the law.